We're celebrating the dedicated business owners, school teachers, food service managers, area chefs, students, residents and myriad others who have gone above and beyond to support and participate in CVSWMD programs while helping to build central Vermont's Zero Waste future. By the very nature of his business - T&T Repeats, a thrift store in downtown Montpelier --Thomas Moore helps reduce Central Vermont's impact on the landfill. But Moore goes above and beyond. Clothing he can't sell gets donated to the Trinity Methodist Church thrift store across the street. He donates items such as microwaves, a weed whacker and other tools to various non-profit organizations in the area; and he leaves a free box outside, which gets heavy use by many of the homeless people in the area. "Lots of people come by who have nothing," Moore said, gesturing to a pile of shirts he recently added to the box. Moore operates a truck-for-hire, which often gets used to help people clean out their garages or homes. But he also will trade goods for services. Moore has turned T&T Repeats into a great option for people who want to downsize their possessions, and in the process, nothing gets wasted. 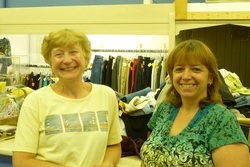 Ingrid is the Director of Women and Children First, Inc. in Barre and Teresa is the store Manager. This organization has a storefront on Main St. where they take in high quality used women and children's clothing and shoes. Proceeds go to operate the store and to assist those in need through donations to local charitable organizations. So good work is being done in the community while practicing the second "R", Reuse, and reducing the amount of waste entering the landfill! Way to go! Wendy Mackenzie has proven herself to be a dedicated Zero Waste advocate. She jumped on the opportunity to work with CVSWMD School Coordinator Gwen Lyons-Baker and used our services to conduct a whole school waste audit and our first ever Locker Clean-out Day. 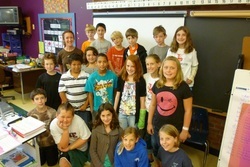 As adviser to the Oxbow Environmental Coalition, a student group, she has used these events to teach Oxbow students about their responsibility to waste reduction and the reasons it's so important to their future. 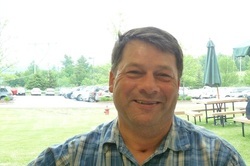 Terry Redmond has been an integral part of the success of Central Vermont Medical Center's food scrap diversion efforts. Terry has set composting operations up in the kitchen, dining areas, and patient/resident rooms at two CVMC facilities. He keeps the processes simple and makes food scrap diversion just part of the scenery. Terry and CVMC are dedicated to sustainability and doing the right thing for future generations! 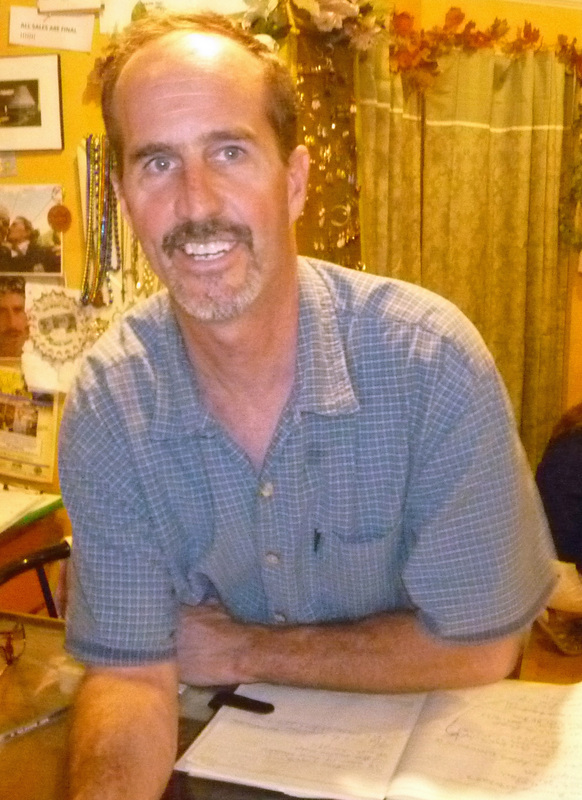 Karl has played a major role in the development of CVSWMD's two composting programs (Business and School Composting Programs). 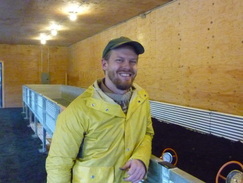 His dedication to the community's food security through soil health is unprecedented. A by-product of his passion for food and soil independence has been that his partnership with CVSWMD has helped to divert many millions of pounds of food scraps from the landfill. We support Karl's work and the products he creates that help CVSWMD move the district toward Zero Waste! Thank you Karl! Tom has been actively working with CVSWMD for many years. He works hard to teach every student at Montpelier High School about the environment and the importance of preserving habitat for the continuation of diverse species. He has long been a major supporter of CVSWMD's School Composting Program (now part of our School Zero Waste Program) and partners with us on many activities. 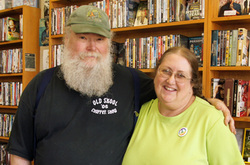 Leslie Rabins is the longtime owner of One More Time, a successful consignment reuse business! 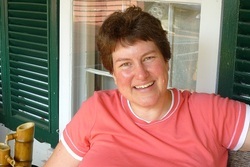 Leslie, who got into the business because of her passion for thrift shopping and the need for a job, called the way the store operates "full circle recycling". Leslie said she wouldn't feel good about operating a new clothing store, since she is passionate about the reuse ethic and loves the fun interactions and unique items she sees in the consignment business. Even better, the economic down-turn may have actually increased business at One More Time, as consumers seek less costly alternatives to pricey mainstream fashions. The New England Culinary Institute (NECI) has been a long-time participant in CVSWMD's Business Composting Program, one of our longest standing Zero Waste initiatives. One of the program's greatest champions at NECI is Will Colgan, Director of Facilities Operations. We caught up with Will at NECI's downtown Montpelier restaurant, NECI on Main (formerly Chef's Table). Will told us that they now compost in all four of their large kitchens and that every student is taught about their Farm to Table philosophy. According to Will, "Once they saw how simple and easy it was to compost, they loved it!" January's Zero Hero was Christian Pruitt, Food Service Director/Head Chef at Twinfield Union School, which serves the member towns of Marshfield and Plainfield. Christian has worked closely with our School Zero Waste Coordinator, Gwen Lyons-Baker, to engage staff and students in their highly successful School Composting Program. Christian has been incredibly enthusiastic and has embraced new practices that will not only save the school money, but enable to students to be able to recycle even more waste. Prior to the implementation of the program, the staff lugged out four very heavy sixty gallon trash bags to the dumpster each day. They now throw away only one lightweight trash bag per day! Easy on the waste stream and easy on the back as well!